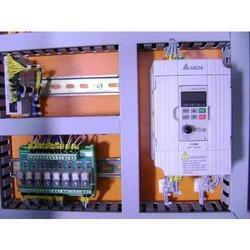 We are a leading name, which is engaged in offering a superior range of Machine Control Panels. The offered range is widely applicable in different areas such as jolting machines, jolt squeeze machines, molding machines and allied. In addition to this, the offered range of control panels is tested on different parameters to maintain its authenticity throughout the manufacturing process. 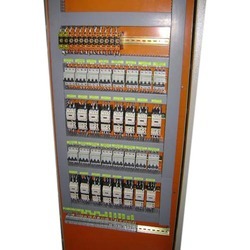 We are a leading Distributor & Manufacturer of Electrical Control Panels, these products are manufactured under the supervision of experienced professionals who have years of experience in their respective domain. Our range of electrical control panels is strictly made as per the clients' requirement in standards as well as customized form. 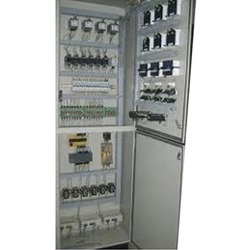 We are the manufacturer of large collection of Process Control Panel. Like Fire Fighting Panel, MCC Panel, Mosaic Mimic Panel, VFD Panel, PCC Panel & Power Distribution Board. We Designed Process Control Panel According to our client requirement and required specification. We have Qualified & Experienced group of engineers,they can design,assemble & install, where the client want.Process control is extensively used in industry and enables mass production of continuous processes such as oil refining, paper manufacturing, chemicals, power plants and many other industries. A commonly used control device called a Programmable logic controller, or a PLC, is used to read a set of digital and analog inputs, apply a set of logic statements, and generate a set of analog and digital outputs .Larger more complex systems can be controlled by a Distributed Control System. Our customers can avail a comprehensive range of Instrument Control Panels from us. The offered range of instrument panels is made utilizing high grade raw material and advanced machinery in strict compliance with highest quality norms and standards. Along with this, the offered range of instrument panels is widely applicable in different areas such as railways, commercial complexes, hospitals and hotels. Industrial Control Panel offered features precisionconstruction standards including use of advanced mechanics as well as support of cutting edge process technology, thus making these deliver exceptional process support under given applications. 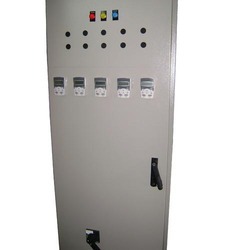 These panels find usage in variety of industrial power-works and can be made available in variety of designs including in options of PCC like panel with aluminum & copper bus bars, top, middle & bottom horizontal bus chambers, cable termination as well as availability in combination of APFC. Further, we can also offer these in different ranges of distribution panels, auto mains failure panel, synchronizing panels, fire panels and others. 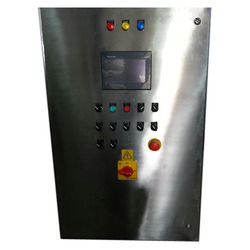 We manufacture and install a wide range of Control Panels for various industries. 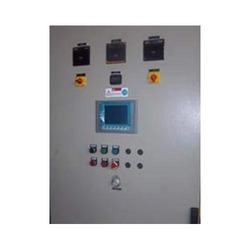 We install customized Control Panels for all the Industries. With our immense industrial experience, we have gained the technical know how of designing and manufacturing high performing array of Electric Control Panels. We ensure that the range is precisely manufactured using optimum grade raw material and parts, which are sourced from renowned vendors of the market. Further, the range is subjected to rigorous checks so as to ensure its compliance with industry standards and defect free nature. Backed by the experienced team of professionals we are engaged in offering the wide range of Control Panel Board. Our products are certified and manufactured from the quality components. 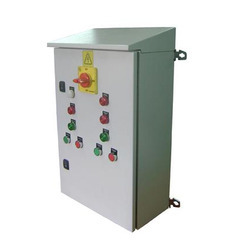 The Control Panel Board offered by us is widely used for industrial and domestic purposes. We test our range stringently on various parameters, before making them available in the market. Simple and reliable product range is offered by us in the market. Besides, we ensure to deliver only best to our clients.